Do you sometimes feel like throwing away your daily western clothes? Do you feel that you are unfairly attached to them such that haven’t been giving any attention to traditional or local clothes? Well, if you feel this way, then you are not alone. There are hundreds of thousands of people, if not millions, who wish that they could breathe some fresh air into their dressings and try something different from what they have been doing. Dhotis have a unique characteristic of being able to revive dressing styles and come along with a unique sense of innovative styling. Though dhotis have mostly been associated with masculinity, the work of genius designers have adapted them to also fit the needs of the feminine dressing needs and it is now considered one of the hot trends in the fashion industry that big names in the entertainment industry are now able to recognize. As far as kurtis are concerned, dhoti-style kurtis are now a rage in the market today, and this is not just because of their elegance, but the fact that you don’t need to have any kind of bottoms to wear these kurtis. They have provided a magnificent solution for women who have small to average busts to have kurtis that will flatter their frames in a nice manner. For more elegance with the dhoti-style kurtis, you can think about using a pair of high pumps, especially if you are vertically challenged so that you also create an illusion of height. Summer may sometimes be unbearable in India, but this should never be the reason to let fashion and elegance take a back seat. This is usually the most ideal time to take out your best summer kurtis and flaunt all you have as you enjoy the comfort of the dressing. 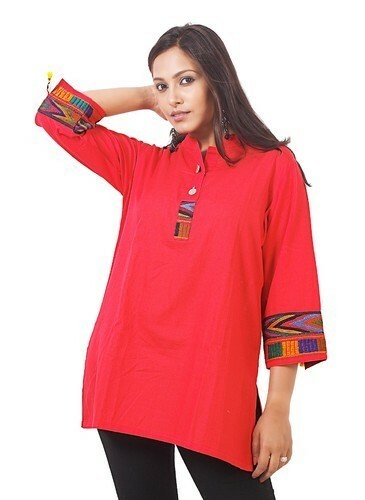 But a major concern for many women, and which usually dissuade them from wearing kurtis during summer is the fact that they have to wear the kurtis with leggings or some kind of bottom. 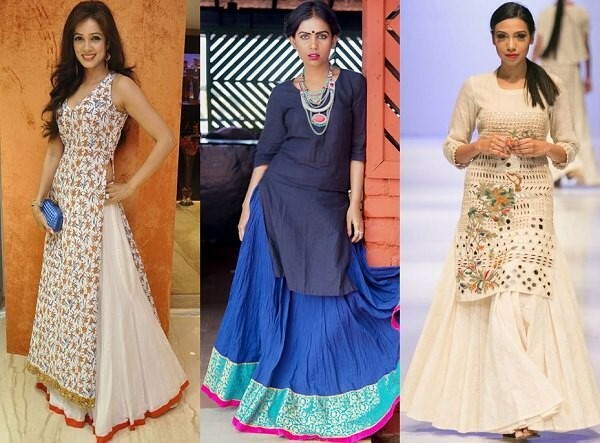 With the summer heat, it can be deadly uncomfortable to think about layering the kurtis with another attire. However, you can get a lot of fun and comfort when you consider cotton kurtis. They are not just comfortable, but a good number of them come with very beautiful designs and are of decent lengths that you can just wear without the need of a legging. Since they are breathable, cotton kurtis are one of the best kurtis types worth considering the sweltering summer sun. Straight cut short kurtis are also known as designer kurtis and they have been trending for the past couple of years because they are versatile in their fashion application and they are also very comfortable. With these, you don’t need any extra embellishment to create any special effects so that you can look at your best with the straight cut short kurtis. What is even more exciting about them is the fact that you can always wear them without worrying about pairing them with a legging or any other kind of bottom. They are available in a variety of eye-catching embroidery and prints and irrespective of you your personal preferences, you are assured of finding just the right ones to meet your daily kurtis needs. It is also worth pointing out that you will find these kurtis befitting for all body types, hence you don’t have to get worried that you may not find the perfect one for your body shape as sometimes may be the case with the other types of fashion kurtis. Tulip shaped kurtis are also designed not to be worn with any kind of leggings or bottom, though you can always pair them if that makes you feel more comfortable. These fusion kurtis are ideal for women of all shapes, sizes, and age, and can be used for both formal and informal setups. With the design of the tulip shaped kurtis, wearing them without a legging or a bottom is a sure way to attract attention to yourself, and it can make an outstanding outfit during events such as weddings, festivals, parties and family gatherings. If you are interested in creating more classy looks with them without any leggings, choose those with bright colors and accessorize them with matching anklets, earrings and bracelets. Depending on your height, feel free to choose a length you think will make you feel most comfortable. You can check Stylecaret for an awesome collection of fusion kurtis that you can comfortably wear without thinking about leggings. Trail-cut kurtis are known for their simplicity and elegance, and it is always favorite design for most women interested in versatile kurtis. 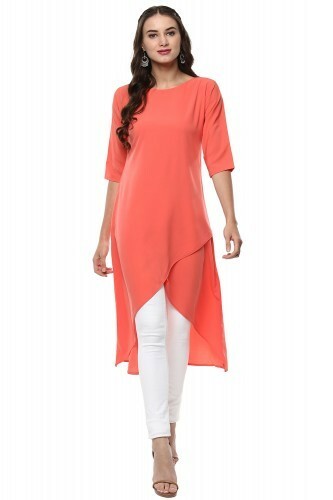 With a pair of jeans or leggings, these kurtis will always create very powerful combinations. But it is interesting to know that you don’t necessarily need to have a pair of jeans or leggings to look amazing with trail cut kurtis. 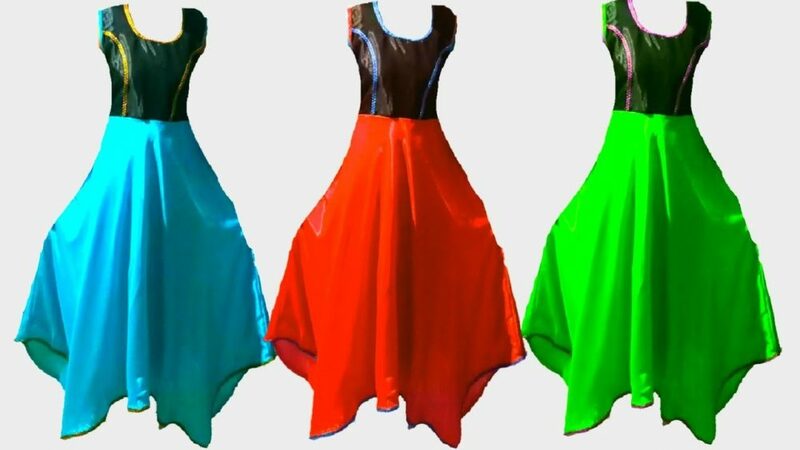 Its versatility in design makes it ideal for use without leggings, thus making it a worthy consideration for anyone who is tired of having to put on leggings every time they have to put on a kurtis. If you could add a pair of stilettos, a glam pendant and danglers to the grooming, you shall have succeeded in creating a diva look and becoming the new celebrity in town.